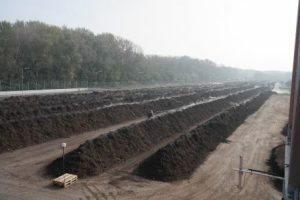 Based on surveys carried out by the European Compost Network, approximately 30 million tonnes of separately collected bio-waste is composted or digested annually in about 3,500 treatment plants across Europe. Green waste accounts for more than 50% of this bio-waste, which is processed in more than 2,000 composting plants. Composting predominates over anaerobic digestion for the bio-waste stream, resulting in over 90% of food and green waste being processed into compost.